Cell walls and cell membranes both protect the contents of cells from their surroundings. They separate intracellular components from the outside environment and help provide shape to the cell. However, cell walls and cell membranes have many traits that set them apart from each other. This article will discuss those differences. 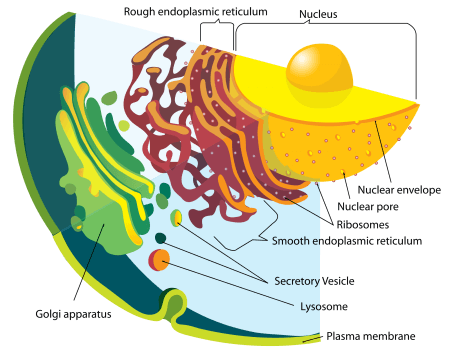 A cell wall is a tough, rigid, and flexible outer layer that surrounds the membranes of some kinds of cells. It gives the cell a form of structural support and protection, and sometimes acts as a filter for fluids entering or exiting the cell. Cell walls also prevent the over-expansion of cells by keeping their size constant. Organisms that have cell walls include algae, fungi, plants, and most kinds of bacteria; cell walls are rare in animals and other eukaryotic organisms. The composition of cell walls vary across species, cell types, and cell age. For example, most land plants have cell walls that contain cellulose and/or lignin; bacterial cell walls have peptidoglycan; algae have cell walls with carrageenan or agar; and fungi cell walls contain chitin. In general, cell walls are permeable. This means that they easily let small molecules pass through. A cell membrane is flexible and separates a cell’s interior from the external environment (known as the extracellular space), to protect cellular components. Another of its functions is to control the movement of substances into and out of cells. It also helps provide form and shape to the cell and attaches the cell to other cells to form tissue. All forms of cells, from bacterial cells to those of animals, have cell membranes. Cell membrane composition is more or less similar across all organisms; all contain lipids and proteins in varying proportions. In general, cell membranes are semipermeable; that is, they allow only a few selected molecules to pass through. What are the differences between a cell wall and a cell membrane? The main differences lie in their function, the type of organisms that have them, their composition, and their permeability. The primary functions of the rigid cell wall are to protect the cell, to give it structural support, and to prevent it from expanding. Similarly, the function of the cell membrane is to protect the interior of the cell. It also regulates the passage of fluids and other substance into and out of the cell. 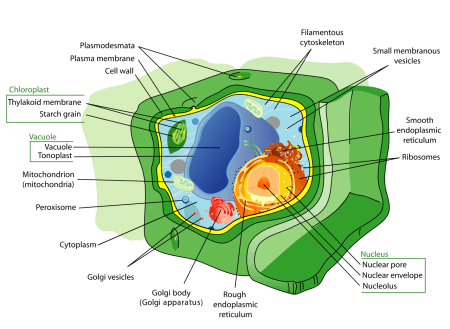 Cell walls are common in bacteria, fungi, algae, and plants. However, they are absent in most animals. Cell membranes, meanwhile, are present in all living organisms. The composition of cell walls varies according to species and cellular age. For example, plant cell walls contain cellulose and lignin, while bacterial cell walls contain peptidoglycan. On the other hand, cell membranes contain lipids and proteins in varying proportions, depending on the type of cell. Cell walls are generally permeable; they let small molecules pass through. In contrast, cell membranes are semi-permeable; only a few selected molecules can pass through. Watch the video below for a short discussion on the differences between cell walls and cell membranes.